Christian Association of Nigeria, Sabon Gari LGA, Zaria documents the result of the post-election violence of 18th April, 2011. In dedication to all those who lost their lives during the violent attacks on Christians. 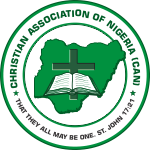 The National Executive Committee (NEC) of Christian Association of Nigeria (CAN), on Monday 29th September, 2014, passed a resolution that Christians in Nigeria should observe 3 days of fasting and prayer for the church and for the nation from Friday 17th – Sunday 19th October. Maiduguri (Nigeria): Hundreds of people who escaped a Boko Haram attack on their town in Nigeria's restive north and fled to a nearby mountain have said they were without any food.